Articles about cutting down on fuel consumption often recommend you make more use of public transport or go on foot. Sensible advice but not always very practical particularly if you live in a remote area or need your vehicle for commuting. 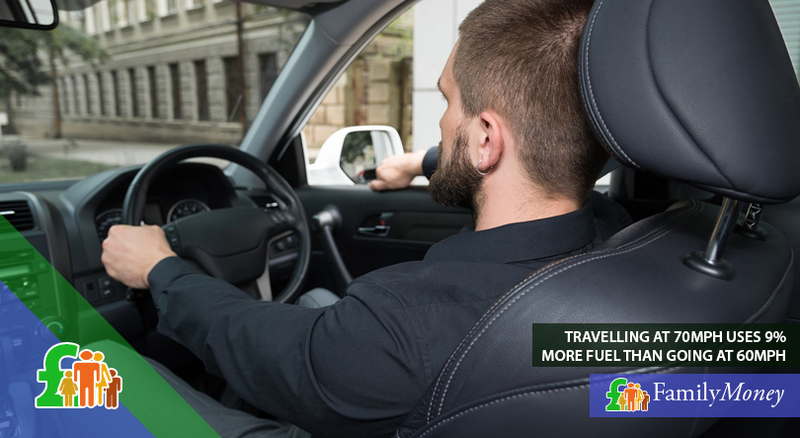 In this article, we give our top tips on how to become more fuel-efficient, and how changes in driving habits can make a difference to how much you pay at the pumps. According to research by the Department for Transport, the faster you drive, the more fuel you consume. Their tests found that travelling at 70mph used 9% more fuel than going at 60mph while hitting 80mph used 25% more than travelling at 70mph. Each vehicle has an optimum speed when it is most fuel-efficient, and this is the speed used by car manufacturers when quoting fuel consumption. Although this optimum driving speed varies according to the make of car, it’s usually around 55-56mph. As well as avoiding costly break-downs, a regular service will ensure that your car is working in tip-top condition. If an engine is well-tuned, it works at optimum capacity and therefore saves on fuel. You should also get into the habit of regularly checking your tyre pressure. The RAC estimates that you can save up to 2% in fuel consumption if the tyres have been correctly inflated. When carrying an extra load and/or many passengers, the pressure should be at the maximum limit as recommended in the owner’s manual. If this isn’t done, this creates more resistance and uses more fuel. 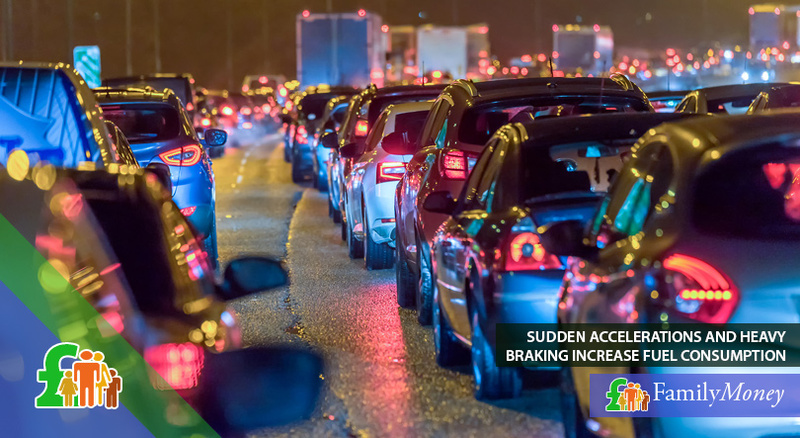 You should avoid sudden accelerations and heavy braking since both these driving habits increase how much fuel you use. Instead, your driving should ‘flow’. In order to achieve this, you need to pay attention to the road ahead and make gentle adjustments. For example, if there is a red light coming up, slow down gradually. The ideal is to manage the slowest speed in the highest gear. This takes practice if you’ve developed some bad driving habits over the years. A good way to re-train yourself is to be aware of the rev counter and listen to what the engine is telling you. Cruise control can reduce fuel consumption, but it is only suitable for driving at a uniform speed. For example, on long stretches of motorway. On other uneven surfaces, cruise control is less fuel-efficient than a driver. This is because without being able to see the road in front as a driver can, it is slow to react to changes in gradient, for example. Something that a driver would do automatically. It has been estimated that every 50 kilos of weight in the car adds an average of 2% to your fuel consumption. This can be more for smaller vehicles since it is relative to the weight of the vehicle itself. If you live in an urban area, you should only fill the tank half-full as the vehicle will weigh less. To reduce how much fuel you consume, you should make sure that you aren’t carrying unnecessary weight in the boot. Roof racks have been singled out as a main culprit. Although it might weigh only 3-5 kgs, it has a greater impact since it creates wind resistance and drag. Even empty, it has been estimated that car racks add up to 10% to your fuel consumption. If it isn’t in use, then you should remove it. Finally, the weight of the fuel in your tank can make a difference. If you live in an urban area, you should only fill the tank half-full as the vehicle will weigh less. Open windows or air conditioning – Which is more fuel-efficient? The open windows vs. air conditioning debate has no simple answer as it depends where you’re driving. It’s true that air conditioning draws its power from the engine and can add around 5-7% to fuel bills. However, keeping the windows and/or sun roof open can add to the wind resistance and drag on the vehicle especially at high speeds. Therefore, the answer is that air conditioning is better when travelling at high speeds (such as on motorways) while open windows are preferable when driving around town. When using your vehicle to run errands, it is a good idea to plan your itinerary so that you park in one central location and then walk to the different places. This is because a cold engine uses more fuel in the first 5 miles. If you are stopping and starting several times, this increases your fuel consumption. If you have to wait for someone and they’re late, you should never leave the engine idling because it will use up fuel unnecessarily. When planning a long-distance car journey, travelling as the crow flies isn’t always the best option. 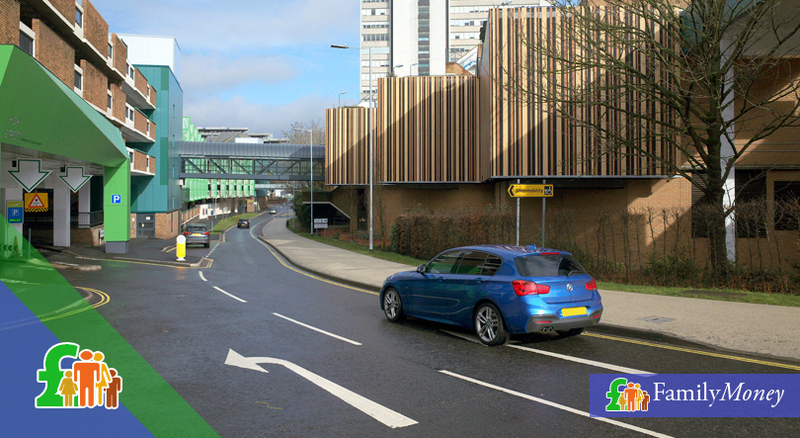 Smaller roads with all their stops and starts in heavy traffic and red lights can end up using more fuel than going a little out of your way and arranging the journey via the nearest motorways. In themselves, these small changes to your driving habits might not seem much, but you’ll see a significant difference in the amount you pay for fuel if you put them into practice in your daily life. In times when we’re all struggling to make ends meet, any cost-cutting methods can affect how much cash is left as payday approaches.